We, Gods Gift Papers, established in the year 2007 at Chennai, Tamil Nadu, India, are one of the leading manufacturers, suppliers, distributors and wholesalers of best in class Tissue Paper & Dispenser. 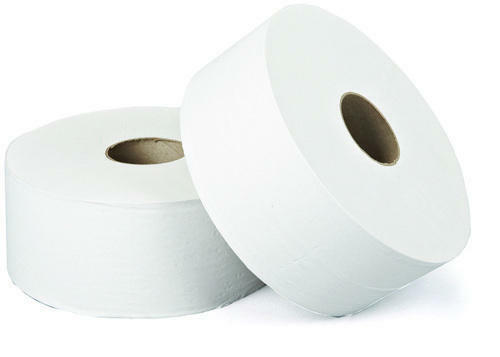 Our effective Toilet Roll Tissue Paper, Jumbo Roll Tissue Paper, C Fold Hand Towel Tissue Paper offered by us at reasonable prices. This range of tissues, napkins, towels and roll dispensers is precisely processing from quality assured paper that is sourced from trusted vendors. For the purpose of processing this range of tissues, napkins, towels and roll dispensers in compliance with the set paper industry norms and regulations, the cutting-edge tools and machinery are used. Furthermore, this offered range of tissues, napkins, towels and roll dispensers can be customized in adherence to the designs and requirements provided by our customers. Backed with the experience and knowledge of our team of skills professionals, we have been able to cater to the needs of our valuable customers. In addition to this, we offer our customers with multiple modes of payment, keeping their convenience our mind. Owing to its perfect finish, sturdy construction and softness, this range of tissues, napkins, towels and roll dispensers are highly demanded.